UTE THINK THEY’D SELL THESE IN THE U.S., EH? While pursuing a rumor that Ford will be bringing back the Bronco (which we will tell you about once there’s more to it than a couple of lines spoken during an interview with a Detroit U.A.W. official), we found ourselves on the web page of Ford Australia (ford.com.au) where we feasted our eyes on the Falcon Ute. And one of the more interesting models is the Ute, a utility vehicle which is a cross between a passenger car and a light pickup. 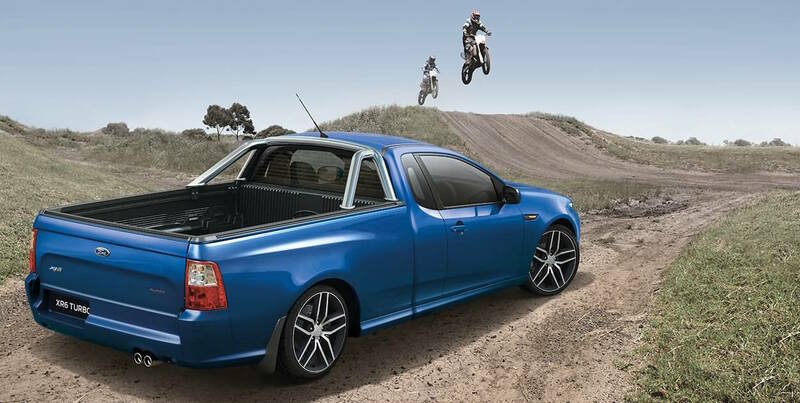 The rear-wheel-drive Falcon Ute is available in base, XR6, and XR6 Turbo versions. All are two-passenger models, with inside storage space behind the seats. The standard powerplant for the base and XR6 models is a 4.0L DOHC I6 hooked up to a six-speed transmission, either manual or automatic; optional is a 4.0L EcoLPi which uses LPG fuel (automatic only). The XR6 Turbo’s 4.0L is, of course, turbocharged, and both the manual and automatic are offered. A cab chassis model is available for you to mount a custom box on the back (or Ford’s optional aluminium tray which kind of looks like a metal stake truck bed). Unfortunately, if you want one of these you’ll have to act quickly. 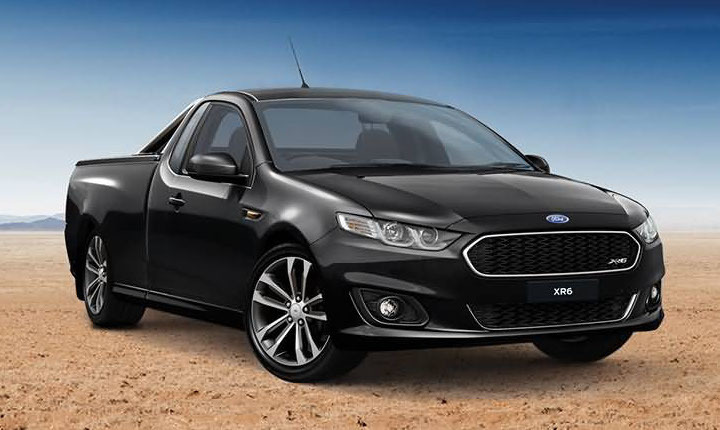 Ford stopped production of the Falcon Ute this past July; and all local assembly plants on the continent will be shut down this month, permanently. From hereon, all Fords sold in Oz will be imported. And it doesn’t look like any of them will be Falcon Utes. And that’s not a rumor.